Bootylicious socialite Vera Sindika has currently been the talk of town for the better part of the week. It all started after news emerged that the well endowed socialite has been sued for unlawfully declining to pay her lawyer who helped her in drafting the purchase agreement of her expensive range rover. This has left social media users talking and to an extent claiming that the lass is broke. Well despite the soiled reputation, Vera Sindika is still on her job rounds and recently jetted in Uganda where she was welcomed Like a real BOSS LADY. 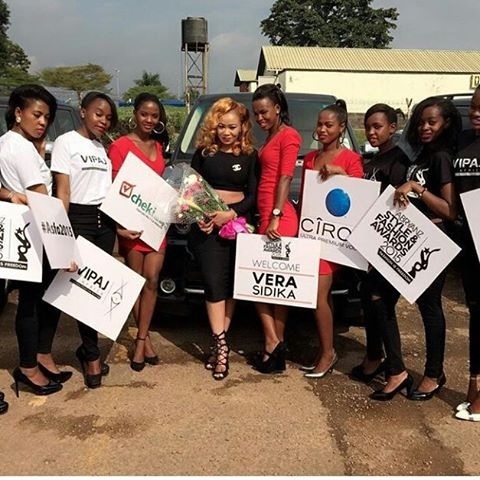 Vera is expected to hold a sold out party in one of the popular Uganda clubs.